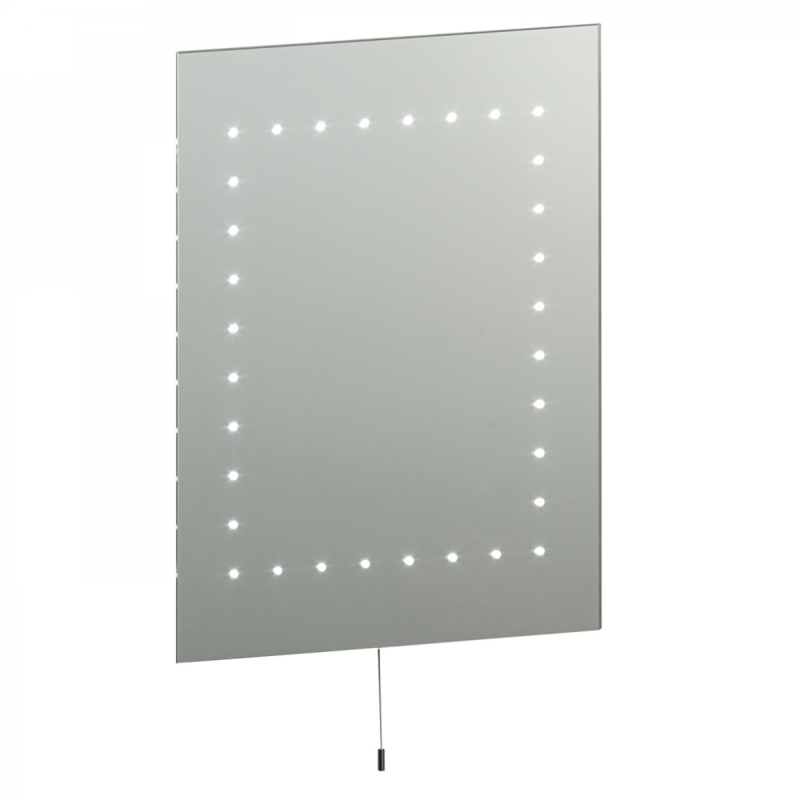 The product is a beautifully simple LED bathroom mirror fitted with a pull cord switch and 32 white LEDs. 50cm height x 39cm width x 5cm projection. Bulb information: 2.5W LED (Capsule) Cool white - included - 5500k.